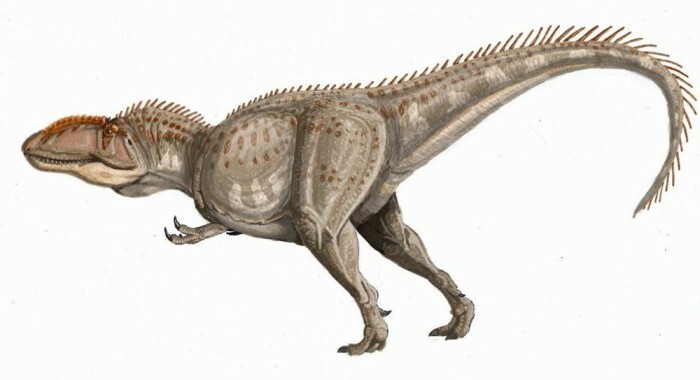 The most complete find of Giganotosaurus was made by Rubén Dario Carolini, an amateur fossil hunter who, on 25 July 1993, discovered a skeleton in deposits of Patagonia (southern Argentina) in what is now considered the Candeleros Formation. The discovery was scientifically reported in 1994. The initial description was published by Rodolfo Coria and Leonardo Salgado in the journal Nature in September 1995. 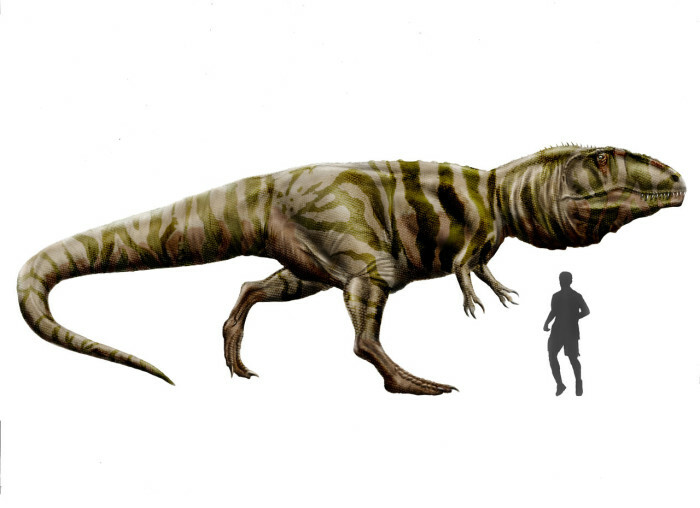 The type species is Giganotosaurus carolinii. The generic name means “giant southern lizard”, derived from the Ancient Greek gigas/γίγας meaning “giant”, notos/νότος meaning “south wind” and -sauros/-σαύρος meaning “lizard”. The specific name honours Carolini. The holotype specimen’s (MUCPv-Ch1) skeleton was about 70% complete and included parts of the skull, a lower jaw, pelvis, hindlimbs and most of the backbone. The premaxillae, jugals, quadratojugals, the back of the lower jaws and the forelimbs are missing. Various estimates find that it measured somewhere between 12.2 and 13 m (40 and 43 ft) in length, and between 6.5 and 13.3 tons in weight. A second, more fragmentary, specimen (MUCPv-95) has also been identified, found in 1987 by Jorge Calvo. It is only known from the front part of the left dentary which is 8% larger than the equivalent bone from the holotype. 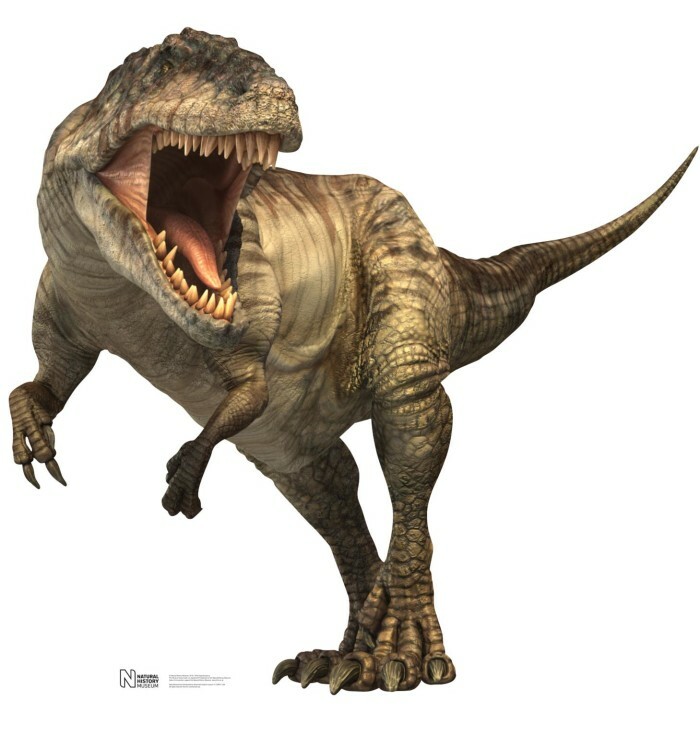 This largest Giganotosaurus specimen is estimated to represent an individual with a skull length of 195 cm (6.40 ft), compared to the holotype’s estimated at 1.80 m (5.9 ft) skull, making it likely that Giganotosaurus had the largest skull of any known theropod. 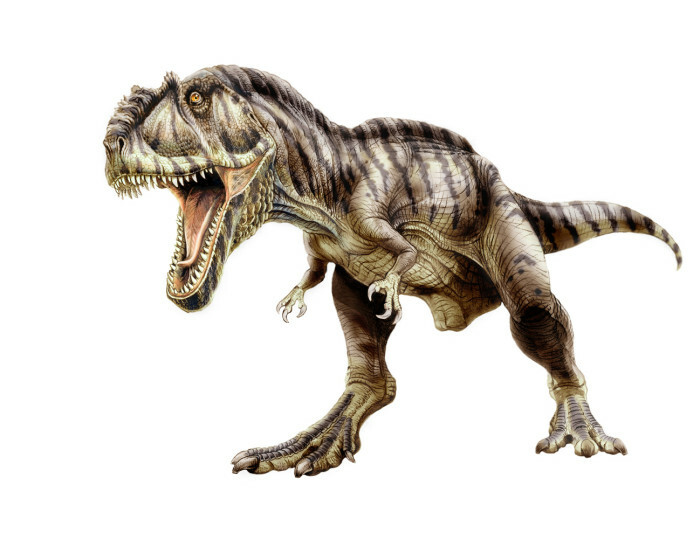 Giganotosaurus surpassed Tyrannosaurus in mass by at least half a ton (the upper size estimate for T. rex is 9.1 t). Additionally several single teeth, discovered from 1987 onwards, have been referred to the species.